Facebook to become the new AOL? 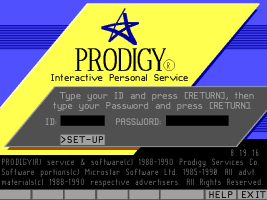 I used to use Prodigy as my Internet Service Provider (ISP) back in the 1990s. It was fun to post to bulletin boards and participate in various discussions. I then jumped over to use America Online (AOL) because of it’s nicer interface, live chat rooms, email, instant messaging, buddy lists, and overall better features. To be honest, back then I used the Internet for two things: to talk about wrestling and find Dragonball Z pictures. Today, I find myself hooked on Facebook. I’m just fascinated with reading up on friends’ profiles, what they’re doing, events, birthdays, pictures, etc. In many ways, it’s everything that I used to use AOL for, and more. 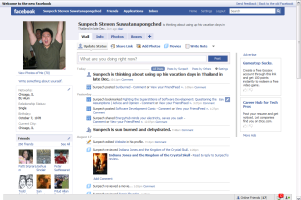 If Web 2.0 is the current version of the web, then Facebook is basically AOL 2.0. Of course I don’t mean this literally, because then we’d be going back quite a few versions. I enjoy Facebook, but I do wonder if it will go the ways of AOL. Although it’s a hot startup right now, I wonder what if their business is truly sustainable. There are so many social networks out there (MySpace, Friendster, Hi5). And there are other similar services (Twitter, FriendFeed, Digg), many of which operate on a more open network. What I mean by that is that Facebook requires users to login and only upon login to view and use their services. Although this provides a certain level of community and security/anonymity, it’s far from being open which is what the Web is all about. Having a closed network promotes the idea that only their users will benefit from their services. I like how they offer services to share links found on the web with a simple click (Heck, I use it! ), but it seems to only drive traffic into Facebook, and not anywhere else. I feel many business minds out there are thinking What’s wrong with that? That’s great! What company wouldn’t want to do that where all arrows point inwards?! I’ll tell you what’s wrong, it doesn’t contribute to making the web any better. The sharing that takes place is centralized on the here and now. Since when can we search to find that interesting post a friend shared from 3 months back? And even if we could find it, how can we share that with anyone else outside of Facebook users? For instance, I would like to be able to download all my friends’ contact information and store it in my Blackberry. But the current privacy setup prevents any application from getting to such information. I’m sure many privacy advocates love that idea, but if such information was to be really kept private, why publish it to be shared amongst your closest 100+ friends to begin with? The important thing is not how it acts by default, but that there is no option to turn it on, to share this information in such a way. The same can be said with picture sharing. But maybe I’m just jumping the gun a little too soon here. Maybe down the road they will open up their network some more and play with everyone else a little bit more. Hopefully that will occur while people are still interested in them and not on the next fad.